I’ve decided to start a new section which highlights the contribution alcohol makes to our communities and economies. 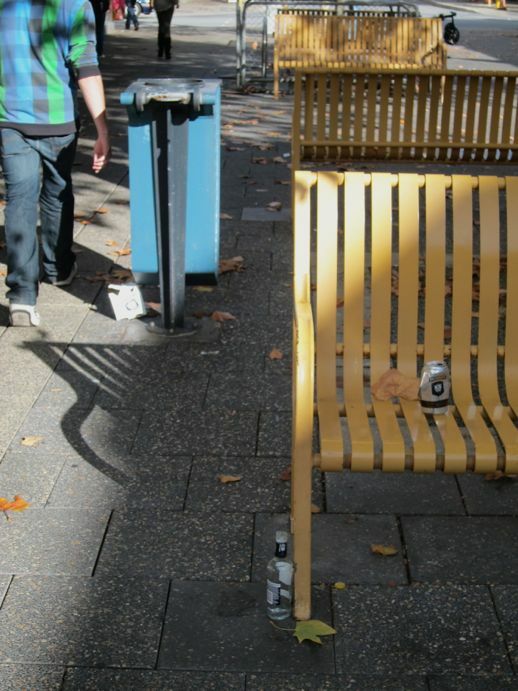 Here: three pieces of alcohol related litter in the centre of a shared public space. And all near a bin.